Getting a gift basket is so much fun and when it comes from Betty Crocker, I know I'm in for a real treat! Even my mixer is named Betty! This holiday season, Betty Crocker is encouraging families to share the memories of baking cookies with kids. My Betty Crocker Holiday Baking gift basket contained a Get Your Betty On apron and a Betty Crocker oven mitt, as well as a gingerbread man cookie cutter to add to my growing collection, and a big, red Betty Crocker spoon. I got a copy of the Get Your Betty On 2014 Holiday Recipe Booklet that features recipes and cookie decorating ideas, all with full color photos. My gift basket also included a kitchen tablet stand, which also holds my recipe booklet for me while I bake. In addition, my gift basket included a package of Betty Crocker Chocolate Chip Cookie Mix, Sugar Cookie Mix, and Vanilla Frosting! YUM! Betty Crocker has pulled together a helpful online Kid's Cookie Corner on their website, featuring their top ten cookies for kids and how-to videos on each. Using the recipe booklet in my gift basket, I made the Chocolate Chip Christmas Cookies. Aren't they simply beautiful? They were so easy to make and they are scrumptious! Visit www.bettycrocker.com for more great cookie ideas and check out all their fabulous products. Be sure to enter below to win a gift basket so you can Get Your Betty On! Win a Betty Crocker Holiday Baking Gift Basket! To enter, just fill in the contest form below. Giveaway is open to US residents, ages 18 and older. Giveaway ends on 12/18/2014. Good luck! It's the season for nibbling and your family is going to love the NEW Lance Seasonal Favorites. Available in three festive flavors - Pumpkin Cheesecake (my personal favorite), Chocolate Mint, and Sprinkled Sugar Creme. Each box comes with six packages of six sandwich cookies. These individually wrapped packages are perfect for tucking into lunchboxes for a sweet holiday dessert or fill a large bowl with packages of all three flavors for a delicious afterschool snack. It's also a wonderful way to send holiday treats to a school party or tuck into secret Santa gift bags. For over 100 years, Lance has been baking fresh, great tasting, and wholesome snacks for the entire family. All three of these new flavors are made with no preservatives. These delicious cookies are sure to become a family favorite! Get Lance Limited Edition Seasonal Favorites at a grocer near you and visit them online at www.lance.com to learn more about their cookies, crackers, popcorn, nuts and seeds, and more. 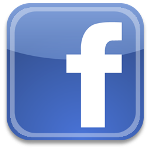 You can also become a fan on Facebook and Twitter. Sparkling wines are the perfect complement to the holidays. There's something extra delicious about all those tiny bubbles while relaxing near a Christmas tree filled with sparkling lights. Chandon is California's sparkling wine pioneer and Delice is just one of their collection. Delice is french for "delight" or "delicacy" but I translate it as delicious! Best served chilled, Delice is more like a refreshing dessert with its hints of nectarine, pear, golden apple and ruby grapefruit flavors. I love it! Delice is a wonderful celebration drink to toast guests at Christmas dinner, a holiday party, or on New Year's Eve. It's a sophisticated and vibrant sparking wine that dances on your tongue. This French heritage sparkling wine will be the hit of any party or simply a romantic evening at home. Care for a glass? 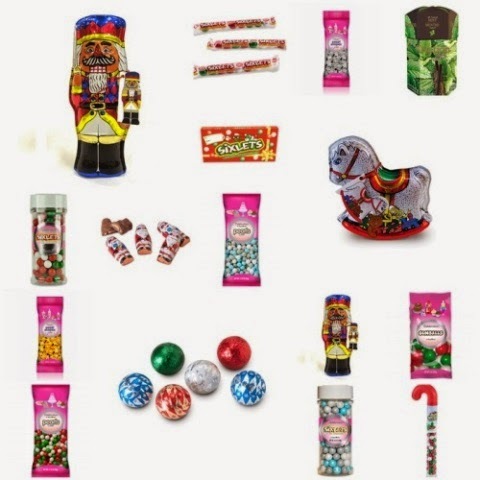 SweetWorks Candy makes it so easy to decorate for the holidays! They have delicious, delightful candies in coordinating and complementary colors. 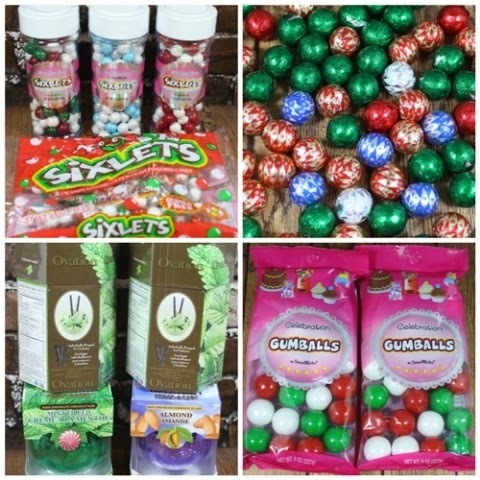 With well-loved brands like Sixlets, Celebration, Nerds, Oakleaf, Ovation and Niagara Chocolates, their high-quality candies are always a great choice. For more than 50 years, SweetWorks has been a leader in confections and chocolates! I just received this huge box of SweetWorks Candy to decorate my home for the holidays and I've had so much fun! A big glass plate was the perfect spot to pour out the Foiled Solid Milk Chocolate Ornaments. I also added the two Break-A-Part candy balls and the Foiled Rocking Horse. I put the individually-wrapped Christmas Mix Sixlets into some green mason jars and topped them with a poinsettia flower. A twisted wire star ornament with some attached jingle bells added some vintage flair to my display. To create a child-like display, I tucked a Sixlets-Filled Candy Cane into a mason jar mug, then poured in the colorful Shimmer Gold Stars around it, and added a red ribbon around the mouth of the mug. The smartly-dressed Foiled Solid Nutcracker and the Christmas Sixlets Theater Boxes completed the look. For a softer, more delicate display, I used the Snowflake Mix Pearls, Shimmer Silver Stars, and Snowflake Mix Sixlets. I used three diamond-pattern mason jars of different sizes and added one type of candy to each. On the smallest and largest jar, I added silver snowflake die-cuts and on the middle jar, I added blue snowflake die-cuts, using a foam adhesive sticker. I tied a silver and white baker's twine around the mouth of each of the three jars and tied them in a simple knot. For the largest holiday decor display, I tucked the Sixlet-Filled Candy Canes into a tall glass and tucked a poinsettia in beside it. I like to use faux greenery so that I can re-use it year after year. I also laid out a wired, sparkly green ribbon under the bowl. In a smaller, matching glass, I poured all the Christmas Mix Gumballs. I also tucked in some Mint Ovation Sticks near the top of the Gumballs glass to give it an illusion of height, which helps to balance out the overall look of the display. I filled the matching glass bowl with the little foil-wrapped Peanut Butter Filled Santas. I also tucked a few more Mint Ovation Sticks into one side of the glass bowl. I have to admit, I snacked a bit as I created my holiday displays, but isn't that the best part of decorating with SweetWorks? 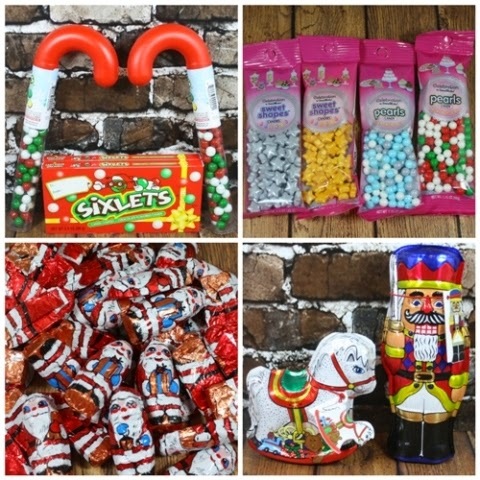 Visit sweetworks.net today to shop for your holiday decor candies! Win $50 in SweetWorks Candy! To enter just fill in the contest form below. Giveaway is open to US residents, ages 18 and older. Giveaway ends on 12/15/2014 at midnight. After you enter my giveaway, visit all the other bloggers below and see what they've created with these delicious SweetWorks candy! 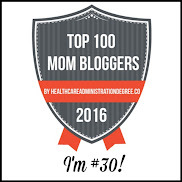 Each one of them is also giving away a $50 SweetWorks prize! 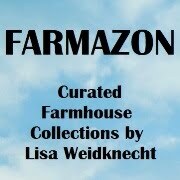 See my other giveaways HERE. There just aren't enough hours in the day to do all that holiday prepping! 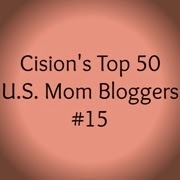 So much time and money goes into making the holidays merry and bright that sometimes it's hard for moms to stay jolly. There's the shopping, the wrapping, the cleaning, the decorating, and now that it's finally bedtime and you get to relax, your child announces she needs three dozen cookies for the party at school. Bahlsen's Limited Edition Cookies are the perfect holiday hack! Available ONLY this time of year, Bahlsen's Traditional Holiday Cookies and Soft Gingerbread Assortment Cookies taste as wonderful as they look. No one will know you didn't spent all day baking them because they taste like homemade cookies. As the leading family owned cookie producer in world, Bahlsen ensures their cookies are made with no preservatives, artificial colors, or GMO ingredients, so you can feel safe sending them off to school with your children or bringing them to your family’s holiday dinner. Need a gift for a teacher, co-worker or neighbor? Fill a nice plate with Bahlsen's cookies, wrap it with cellophane, and tie a ribbon for an easy, tasty, and affordable gift. Honestly, I've never liked gingerbread cookies because they are so hard, but the Bahlsen's Gingerbread cookies are so soft that they literally melt in my mouth! Visit www.bahlsen.com for more information! Bring Joy to Your World and the world of an animal! Best Friends Animal Society Urges Saving the Life of a Shelter Pet this Holiday Season with their Annual Holiday Promotion! Throughout the month of December, national animal welfare organization Best Friends Animal Society along with animal rescue groups and shelters across the country will host an annual animal adoption campaign, offering discounts and incentives to save a life by adopting their next pet. The goal is to place more than 5,000 pets in forever homes by the end of the year. The theme for this year’s promotion is “Bring Joy to Your World.” Find details about local adoptions HERE. "Each year between 3 ½ and four million homeless pets are killed in shelters, but families and individuals who choose to adopt can help bring an end to this," said Francis Battista, co-founder of Best Friends Animal Society. 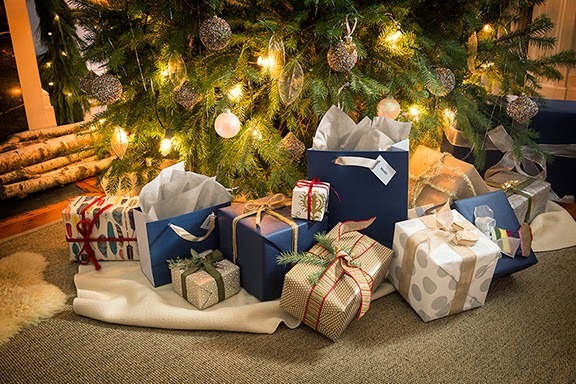 "Adoption literally saves lives and fits perfectly with the growing trend toward making socially responsible holiday choices." Adopting a homeless pet from a local animal shelter or rescue group rather than buying from a breeder, pet store or online retailer means that money is diverted away from the inhumane puppy mill industry that churns out millions of puppies annually to supply pet stores and online retailers. "One thing people often don’t realize is the variety of animals available through shelters and rescue groups," Battista said. "Virtually every type, size, disposition and energy level of dog, cat, kitten or puppy can be adopted from a shelter or rescue organization. A good place to start is http://bestfriends.org/Adopt-a-Pet/Adopt-Near-You/." "Few people will argue that adopted pets reward their people with a depth of unconditional love that pets from other sources don’t seem to rival," Battista said, "They seem to know they were given a second chance, and they spend their lives repaying their families." Best Friends Animal Society is the only national animal welfare organization dedicated exclusively to ending the killing of dogs and cats in America's shelters. A leader in the no-kill movement, Best Friends runs the nation's largest no-kill sanctuary for companion animals, as well as lifesaving programs in partnership with rescue groups and shelters across the country. Since its founding in 1984, Best Friends has helped reduce the number of animals killed in American shelters from 17 million per year to about 4 million. By continuing to build effective initiatives that reduce the number of animals entering shelters and increase the number who find homes, Best Friends and its nationwide network of members and partners are working to Save Them All. There are so many beautiful housewares at Jay Companies! Check out this fabulous Beverage Dispenser by Style Setter. It comes with two huge glass jars that remind me of mason jars and each one holds .8 gallons! The labels on front are actually painted-on chalkboards, so you can write on the front what's inside the jars. Each jar has a dispenser toggle on the front for mess-free dispensing and the two metal lids have a rubber seal. It also comes with a tall black metal stand so you don't have to hang the jars over the edge of a counter. It provides the perfect setting for any occasion! Share your favorite wines this season with your family and friends in style. The Beverage Dispenser holds any kind of liquid and the stand is ready for a few decorations to tie it into the occasion. I added a touch of pine branches and some black glittery thread to make it festive. When I rinsed out the jars, the chalk came right off the blackboard labels with no residue. I'm so thrilled with the Style Setter Beverage Dispenser. It can be used for so many events...fill it with kids' drinks for birthday parties or fill it with two flavors of margaritas for girls' night out! Get your Style Setter Blackboard Beverage Dispenser from www.jaycompanies.com and serve your drinks in style this holiday season. 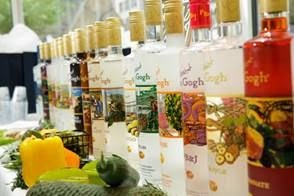 It's the perfect Christmas gift for that friend or family member who always hosts gatherings. Be sure to follow Jay Companies on Facebook, Twitter, Instagram, and Pinterest for great decorating ideas! Gift Card and/or received the product/service at a reduced price or for free. 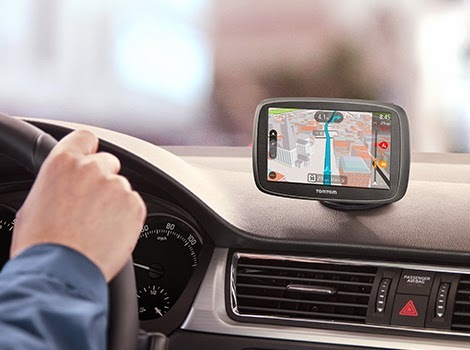 Garmin and TomTom will keep you on the right path, with bluetooth connectivity for hands-free calling, traffic and weather updates. Each offers Lane Assist, lifetime traffic and map updates, and Voice Recognition Technology. The Garmin 52LM has a 5.0” display, maps of 49 U.S. states, plus lifetime map updates, and Lane Assist with junction view. It also displays the speed limit and accurate arrival time, so you can easily find addresses and millions of points of interest, plus offers spoken turn-by-turn directions. The Garmin 2597LMT features a 5.0” display, maps of 49 U.S. states (plus lifetime map updates), Lane Assist with junction view, plus it displays speed limit and accurate arrival time, and spoken turn-by-turn directions to help you easily find addresses and millions of points of interest. 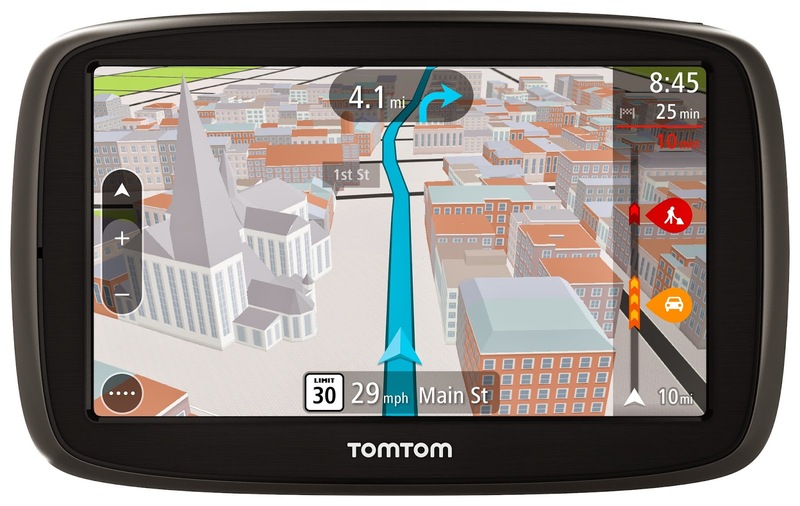 The TomTom Go 50s is one I'm looking at this year! 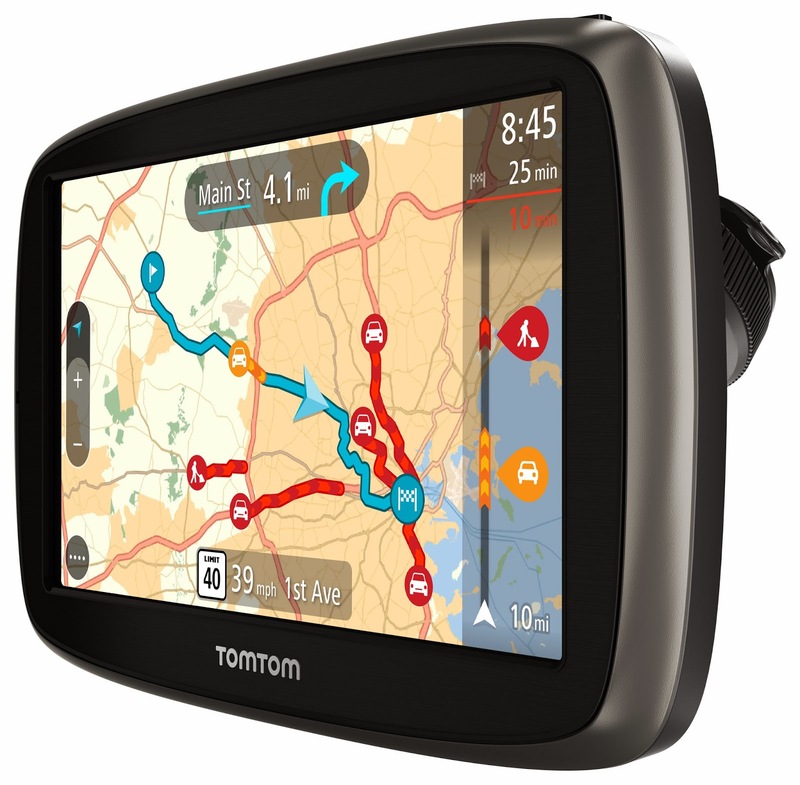 It has Lifetime TomTom Traffic which allows you to Drive with TomTom Traffic for the lifetime of your device. Having Lifetime Maps for US, Canada, and Mexico means you always drive with the latest map. It even offers 3D Maps so you can see buildings and landmarks in stunning 3D. It also features a 5" touchscreen with advanced lane guidance. 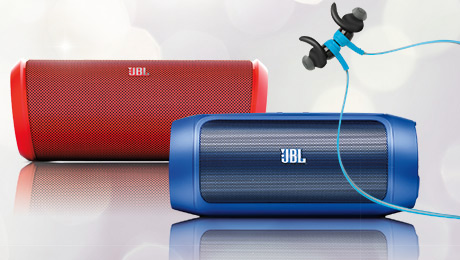 JBL Charge 2 - Between the twin passive radiators for deep bass, the massive 6000mAh battery and the hands-free conference speakerphone the key benefit is the Bluetooth Social Mode which allows up to three different users to take their turns to play their own playlists on a single speaker. JBL Flip 2 - Aside from the dual performance-tuned JBL drivers and a built-in bass port, the key benefit of the JBL Flip 2 is the SoundClear echo and noise cancellation combined with the state-of the art microphone system to pick up calls on the speaker. JBL Reflect Earbud headphones - Sweat proof ergonomic design. With a 5 hour rechargeable battery and a reach of about 40 feet, the JBL Reflect BT’s key benefit is the design of the ergonomic eartips along with the built-in magnets which keep your buds on standby without loose cables. This one's definitely on our list! Best Buy's Xbox One is the place for games. Xbox One was built by gamers, for gamers. With the best exclusive titles (Halo, Sunset Overdrive), the biggest blockbusters (Assassin’s Creed and Call of Duty) the hottest sports franchises (Madden 15, FIFA 15, NBA 2K15) and top family titles (Fantasia: Music Evolved, Just Dance 15, Skylanders) Xbox One takes gaming to a whole new level. In addition to being a great gaming console, Xbox one connects consumers unlike any other device. 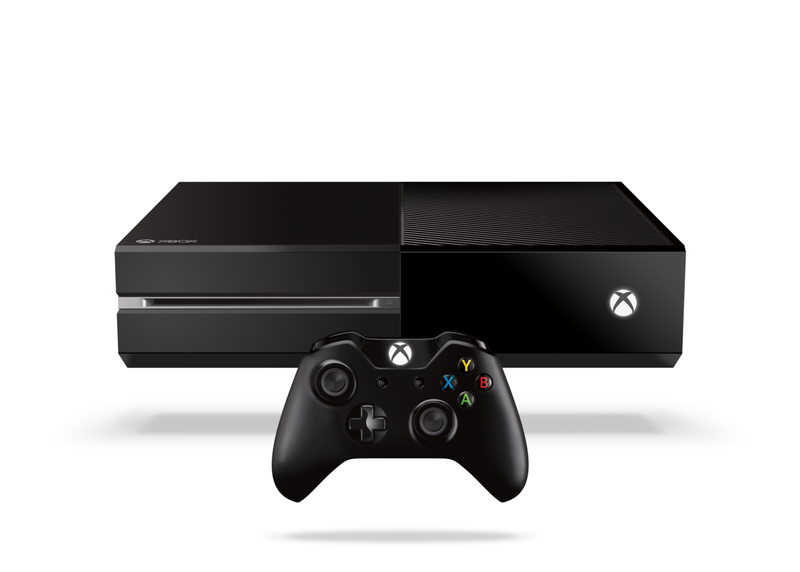 Xbox One enables access to the latest TV shows and movies through your favorite apps. With Xbox One all of your media is at your fingertips when you want it. Get it HERE. 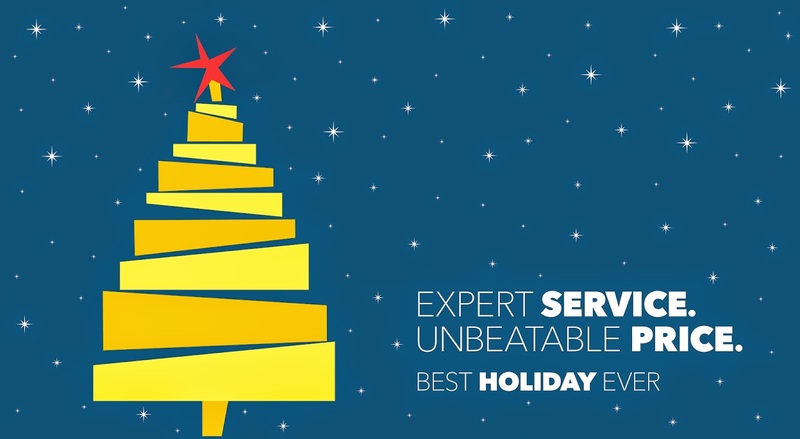 Now that it's officially Hinting Season, what's on your holiday list this year? Get over to your local Best Buy or shop online at bestbuy.com.